Penny Byrne will show a new work made from Murano glass and mild steel in this collateral event of The 54th Venice Biennale. 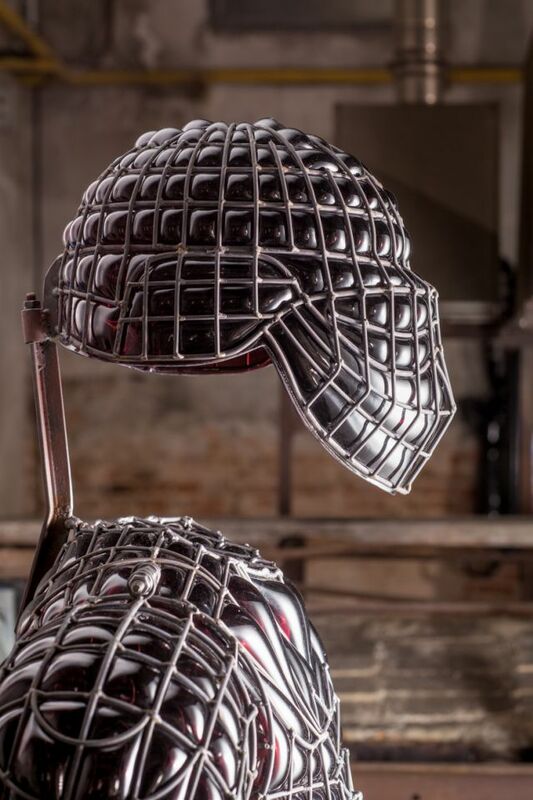 Her new work "Hurt Locker", a life sized siut of armour, can be seen at The Palazzo Franchetti, a Gothic Palace on the Grand Canal opposite the Academia. GLASSTRESS 2015 GOTIKA, is a joint project between the State Hermitage Museum in St. Petersburg, Russia, and Berengo Studio, Venice, Italy. Curated by Dr. Dimitri Ozerkov, Director of Hermitage 20/21 Project for Contemporary Art, State Hermitage Museum, and Adrino Berengo of Berengo Studio, the exhibition is an exploration of the effect that Gothic and medieval ideas have had on the modern conseience and contemporary art. GLASSTRESS will feature over 50 renowned artists from over 20 countries who have created glass works with the maestros of Murano. Some of the artists in the show include Jake and Dinos Chapman, Kate MccGuire, Mat Collishaw, Recycle Group, and Petah Coyne. In 2016, GLASSTRESS GOTIKA will be presented at the State Hermitage Museum in St. Petersburg in the company of Russia's greatest treasures in glass.